I have said it before, but I’ll say it again. When used in positive ways, the internet can be such a wonderful place to bring people together from all over the world! 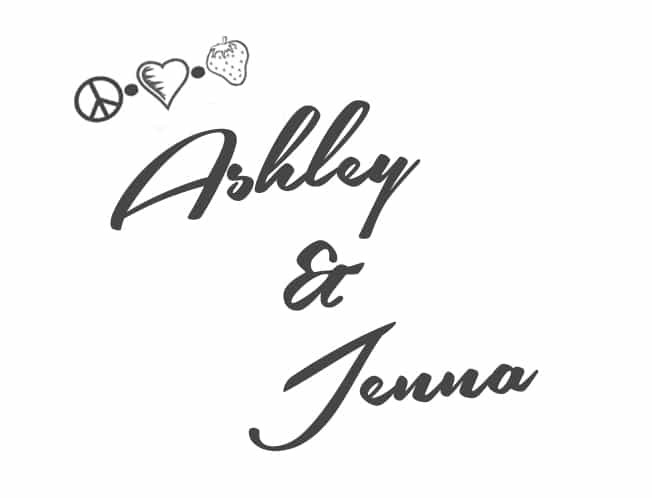 I was fortunate to meet a lovely lady, Jenna of Live Pure Blog, last week. We were united because of our love for healthy, fresh fruits and vegetables! Fruits and vegetables not only create harmony in our bodies, but they create harmony in the world! Jenna and I had such a fun time together! I am all about some girl time! Spending time with my girlfriends ranks high on my list. It’s so fun to laugh together, dream, and talk about goals and exchange funny stories. I don’t know about you but I always become extremely motivated and inspired after spending time with my friends. Surround yourself with positive people and you will absorb that energy! A healthy life is not only what you eat, it is about what you feed and nurture yourself with mentally. Experiences we have and friendships we make along the way are the food to our soul. This meal was organic, fresh, and bursting with flavor. 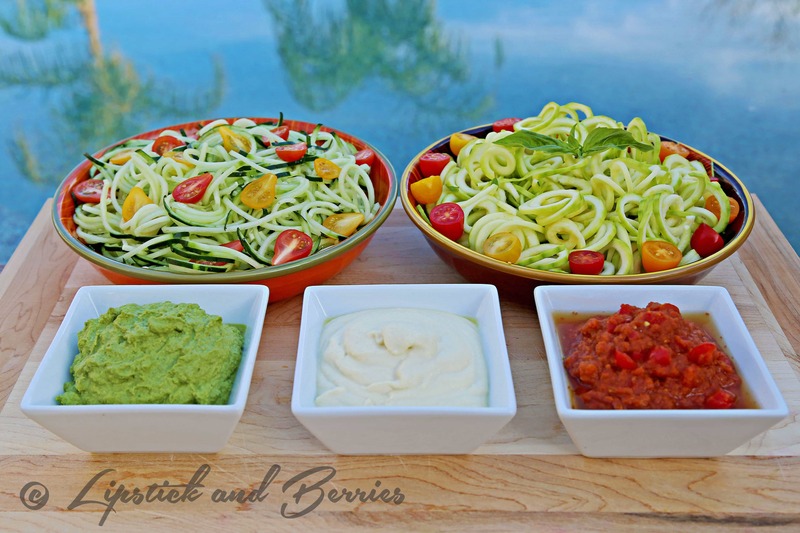 Traditional raw vegan meals can contain high amounts of fat (from nuts). 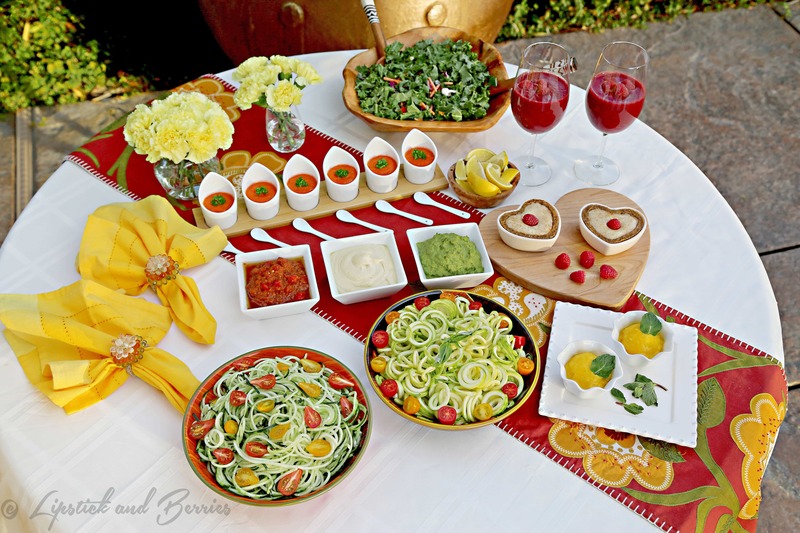 We worked together to create a meal that is not only raw, but low in fat, oil-free, gluten-free, and refined sugar-free. This meal serves 4-6 guests. – Relax with this crimson “Raw Wine!” It is perfect for anytime of the day, and it’s bursting with heart healthy phenols and antioxidants! Place all ingredients in a Vitamix or high powered blender. Puree until smooth. 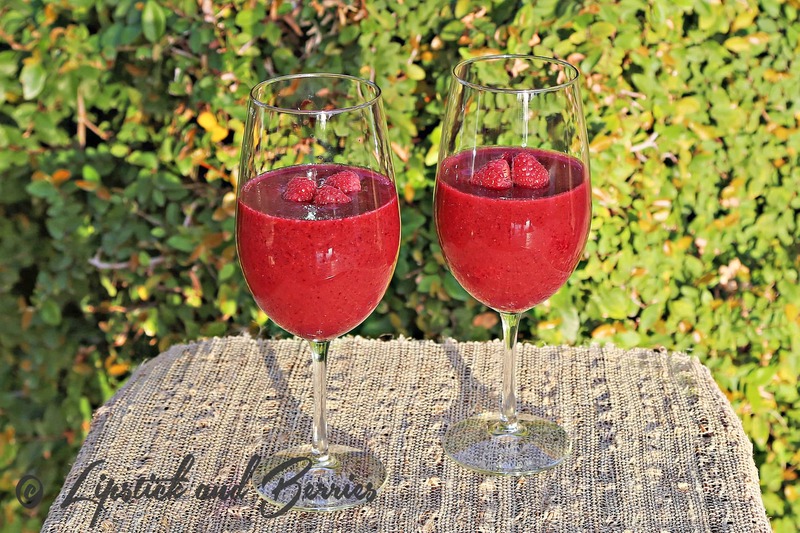 Serve in gorgeous wine glasses and top with fresh raspberries. This beverage could also be made into a juice by placing all ingredients through a fruit and vegetable juicer instead of a blender. – An Amuse Bouche is a single, bite sized hors d’oeuvres served before a meal. It is often a greeting from the Chef and a tantalizing taste of what is to come. Place all ingredients in a Vitamix or high powered blender. Puree until smooth. 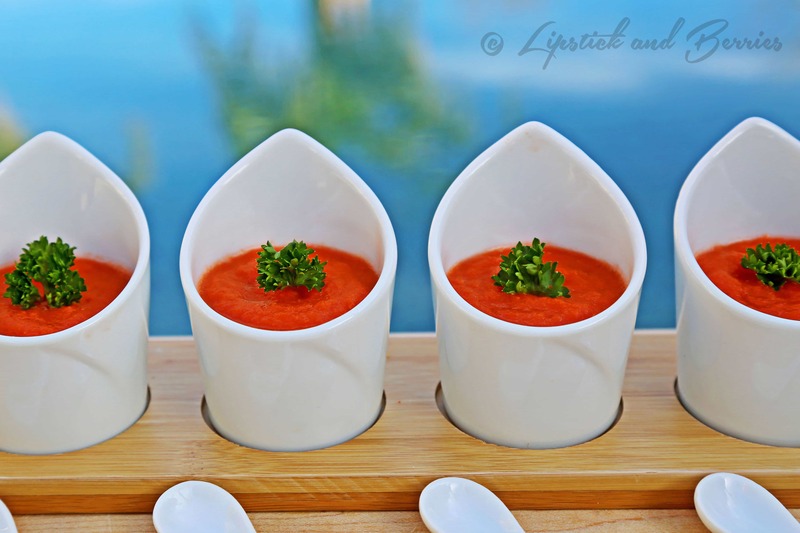 Serve in appetizer cups and garnish with a sprig of fresh parsley. – We made a fresh raw Kale salad, that was filled with cauliflower, peppers, broccoli, red onion, and carrots. Squeeze a little fresh lemon juice over the kale to soften or macerate the leaves before eating. 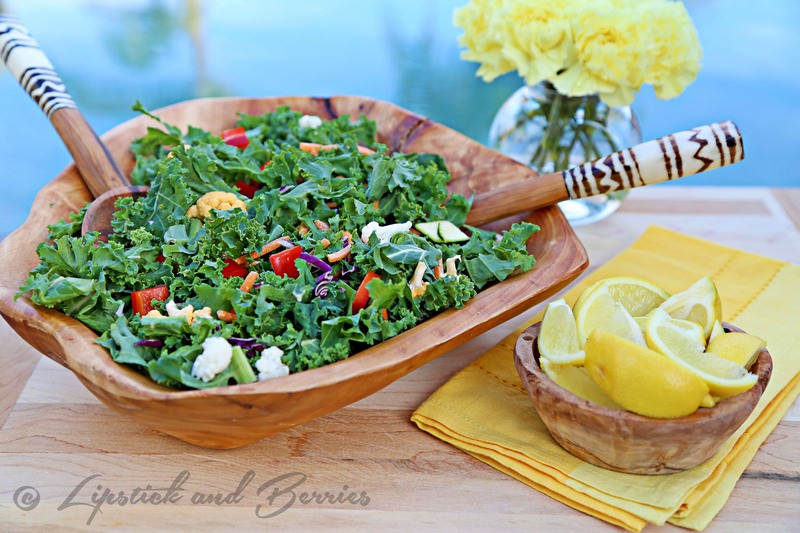 This can be eaten simply with fresh lemon juice, or for another option, this kale salad would be delicious with my Pineapple Parsley Dressing. in Place all ingredients a Vitamix or high powered blender and puree until smooth. 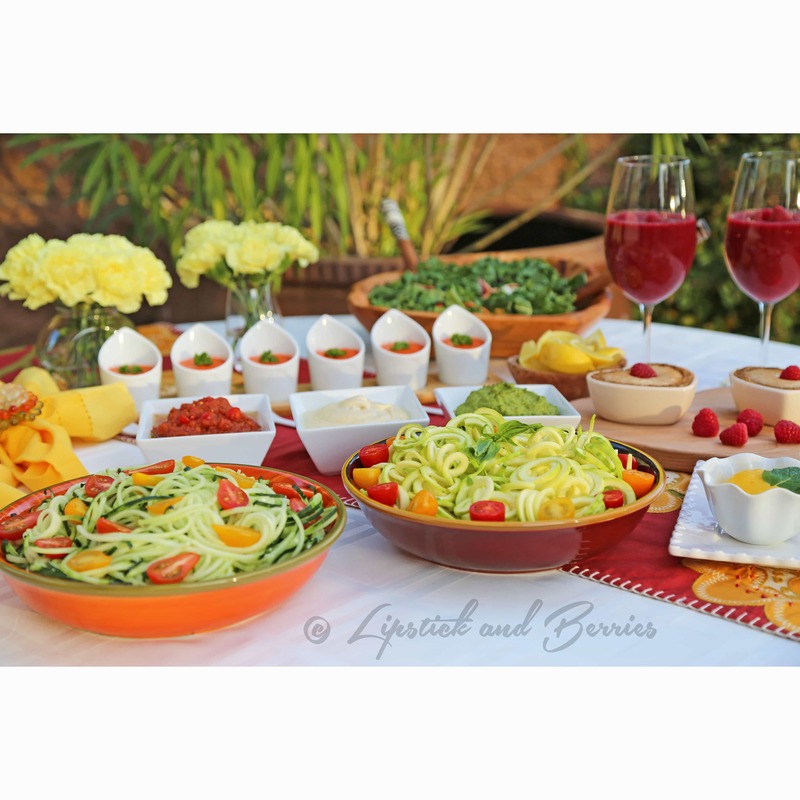 Place all ingredients, except cherry tomatoes, in a Vitamix or high powered blender and puree until smooth. Dice by hand or place the cherry tomatoes into the blender on low to coarsely chop. – A palate cleanser is used to clear our taste between foods. Instead of serving traditional sorbet that is filled with refined sugar, we created a refreshing fruit option! 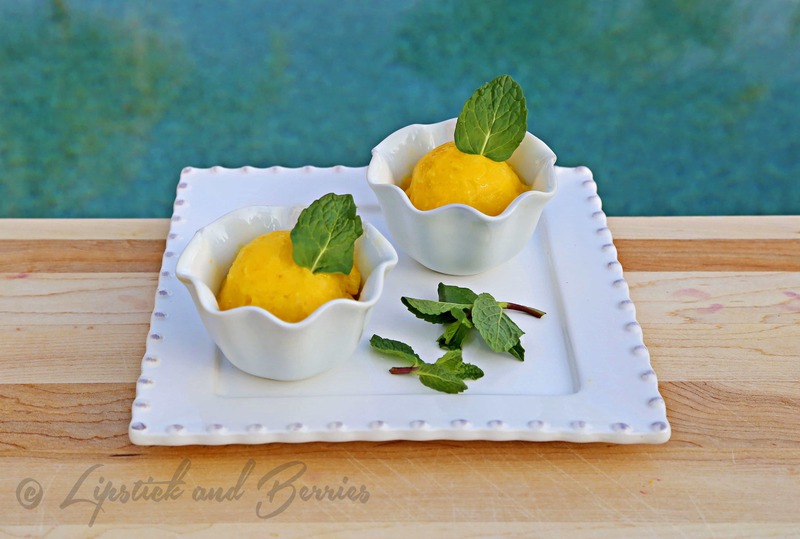 This Mango sorbet is light and refreshing with the addition of citrus and mint. Puree the mangoes along with the citrus juices in a Vitamix, food processor, or high powered blender. Mix in finely chopped mint leaves. Place all crust ingredients in a food processor and puree until a dough ball forms. Press mixture into mini tart pans. 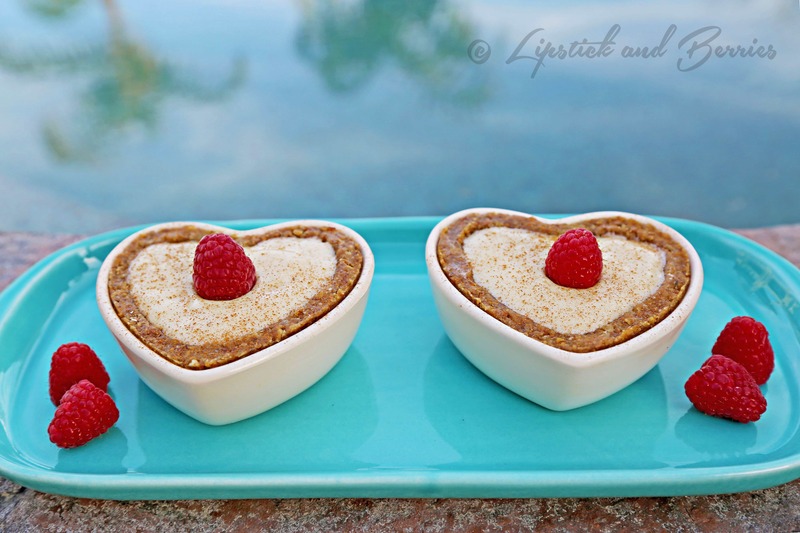 Puree the frozen bananas in a Vitamix or high powered blender. Place the banana mixture into the mini tart pans. This can be eaten immediately or stored in the freezer until time for dessert! Our last night together!! (Another wig another day!) We had much fun! Love my J! Talented duo!!! This looks incredible Ashley, especially the “wine” – how fun!!! Thank you Tammi! Hehe, yeah the wine was fun!! It was simple but really tasty! Ashley, that is the most beautiful presentation of food! It looks absolutely delicious. Thank you so much Cindi! We really had a fun time putting all this together! It was a fun day and a delicious dinner! another WOW! You did it again!!!! !